I It has been a great snow season at Kicking Horse. But unfortunately I am not able to enjoy it. A few weeks ago I ended up tangling with a tree while skiing into Feuz Bowl and ended up ripping off a bicep tendon. The next day I was able to get it reattached in Banff hospital. But I am not able to do much for awhile and certainly no skiing. The conditions are still as good as it has ever been this time of the year. Coverage is amazing and now we have some great spring skiing. The good news is, I will be back skiing next winter and I can't complain too much since I had some awesome days. But just the same it has been a disappointing finish for the season for me. If you are looking to come and enjoy our area this summer I would suggest booking early as rooms are filling up fast. The resort is scheduled to open for the summer season on May 26th until October 1. I am getting pretty excited about the hiking season which isn't too far away. 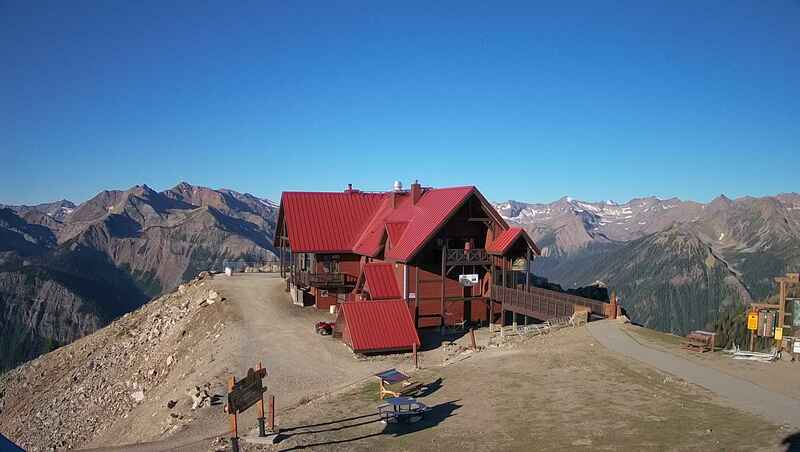 One of my favourite is to go to the top of the mountain here and then do a ridge hike. The views are amazing.